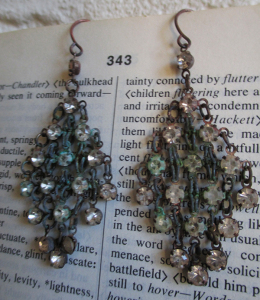 1.move quickly in an apparently random or purposeless manner. Verb or noun, these dear mesh earrings will flitter and dance and please, don’t settle down! 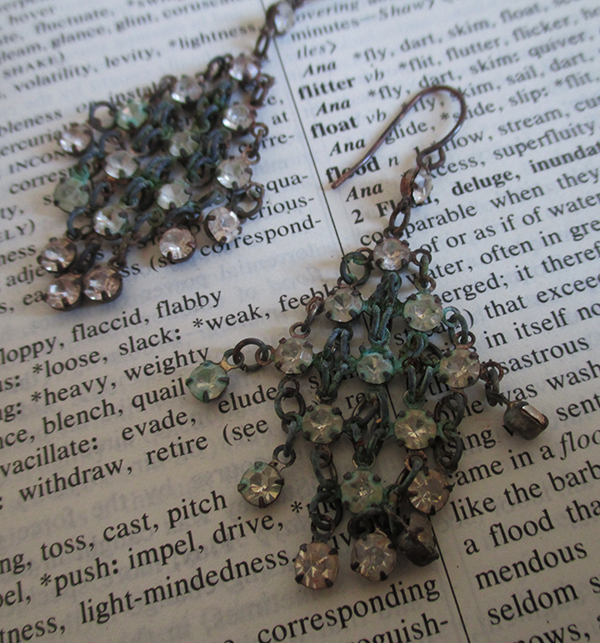 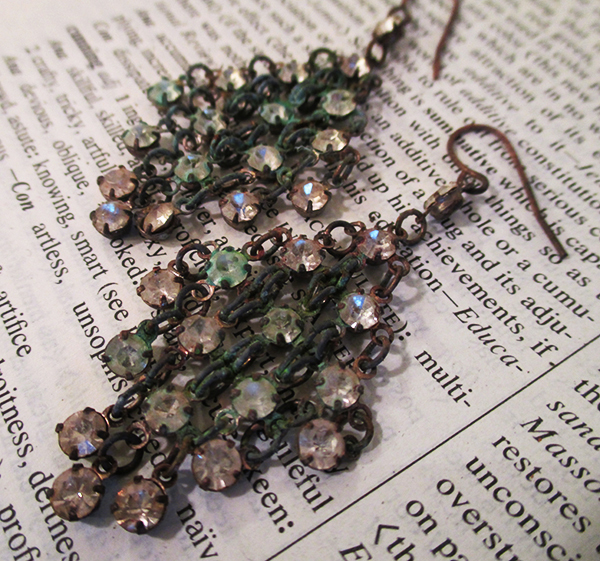 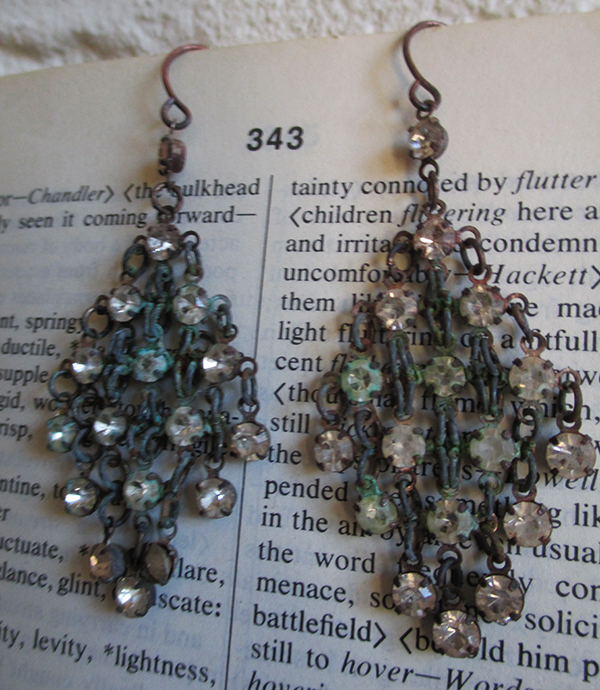 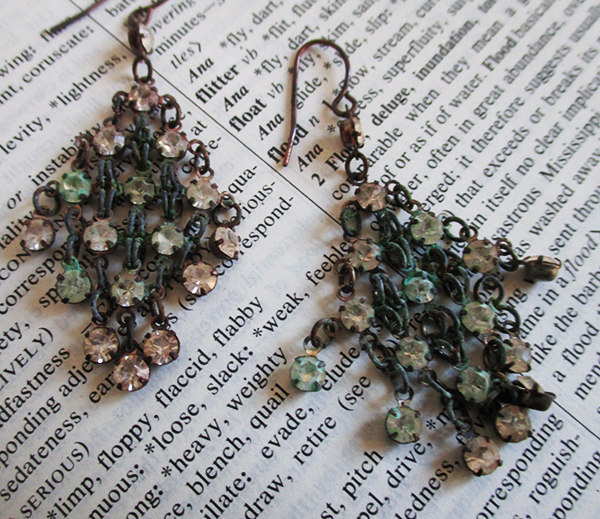 Vintage metal chain maille earrings with rhinestones, heavily oxidized with a verdigris patina. 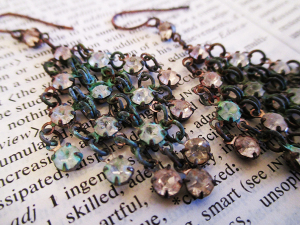 Subtle coloration of rose, peach, blues and greens with lots of sparkly flash as light catches. All stones are in place, any imperfections add to the charm.